Girls are trying mirror nails these days in their own way. I loved these nails when I first saw them, once when I was out with my friend at a Shopping Mall. 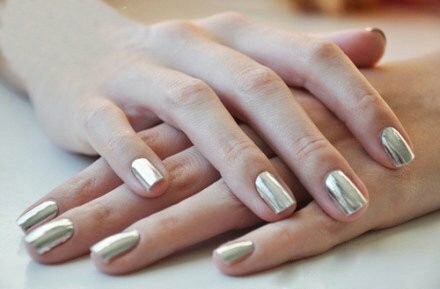 Recently, I have observed brands realizing this version of mirror nail and therefore I couldn’t stop myself using them. 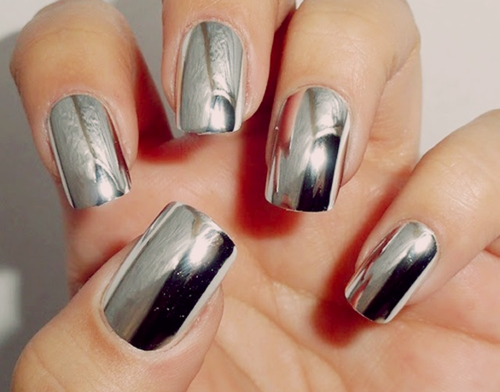 Nails look so bold and shimmer with this mirror effect. 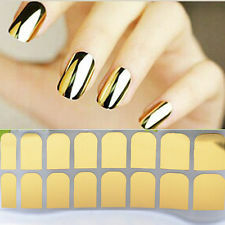 There are many ways to get the mirror nails –as you give more bucks your nails would shine like gold. 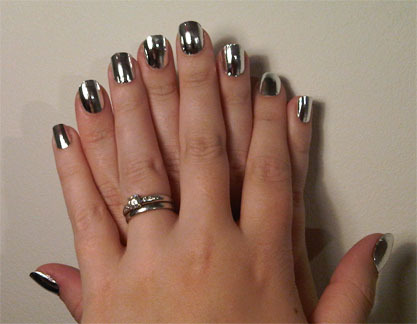 I was looking for a cost effective way to get this mirror shield on my nails. I tried all these so putting down my experience with you. 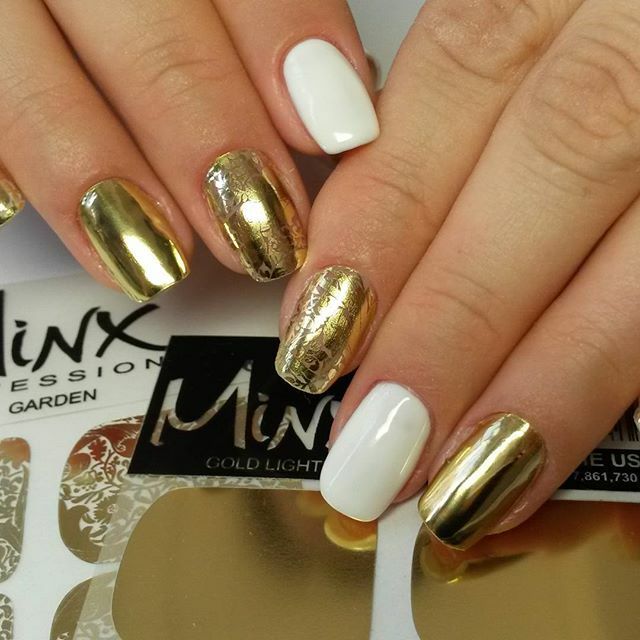 Minx Coat is a clear nail wrap formed with the protection of your nails in mind. Essentially it is an addition to your gel manicure. With the minx coat you can say “bye bye” to the irritating pain of taking off acrylic nails. Initially it was a raga of salon manicure but now many brands have generated their own products for this mirror effect. I tried Layla Mirror Effect Nail Polish but not so happy with the effect as it was not shining as a mirror. For a better experience apply a layer of varnish then only apply the coating as it helps it to stick easily. On the top of the four methods my favorite is nail wrap. If you want to have budgeted minx manicure then go for the nail wrap. Check the step by step guide for how to apply them on nails. Believe me you gonna love your nails! 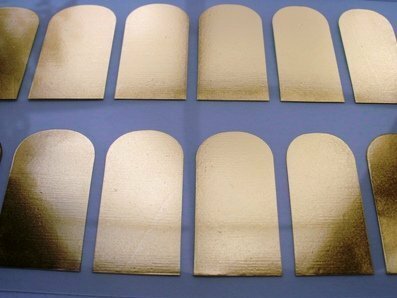 Good news is that this is the most cost effective method to get a mirror look for your nails because these are fake nails. 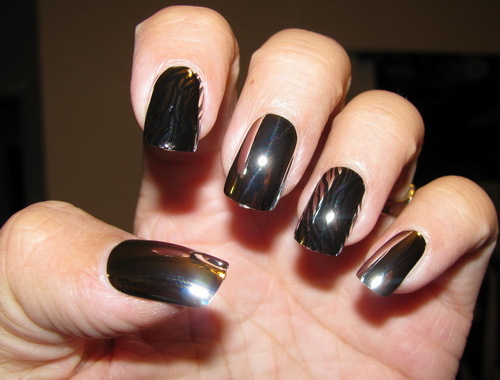 These nails are thicker than original nails but sure shot gives you an experience of real mirror, the shimmer look. 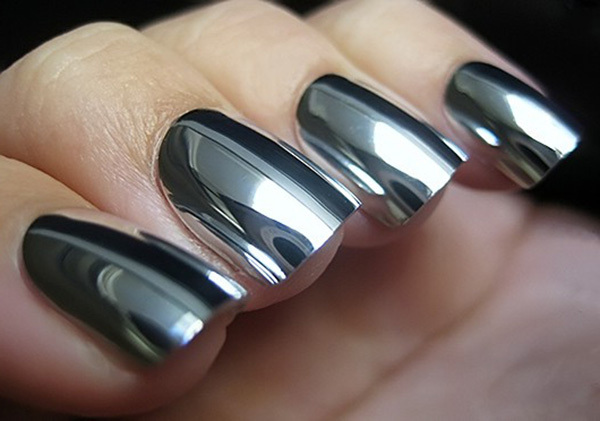 Just apply the glue on your nails and put these chrome nail over that and here you go.